In 2005, San Francisco Chronicle book critic David Kipen observed that the Dickens Project at UC Santa Cruz "may just be literary California's best-kept secret." Now in 2011, that secret is definitely out. Earlier this year, Pulitzer Prize-winning author Jane Smiley praised UCSC’s annual weeklong summer celebration of writer Charles Dickens--the Dickens Universe--during an interview with Oprah Winfrey. And for the first time in its history, the festival had to close registration early this year because it was already filled to capacity. "When we started, we had no idea it would last this long or continue to grow,” notes UCSC literature professor and Dickens Project director, John Jordan. "I think it's been so successful because Dickens was a comic writer and a great storyteller," Jordan adds. "He's a writer concerned with all the social issues of his time--poverty, child labor, homelessness, class inequity. So through the study of Dickens, we engage in an ongoing social commentary that is still relevant today." 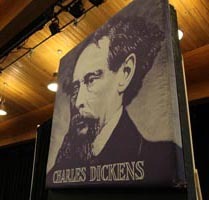 One of the leading sites for research on 19th-century British culture, UCSC’s Dickens Project is internationally recognized as the premier center for Dickens studies in the world. It is essentially a scholarly consortium, headquartered at UC Santa Cruz, consisting of faculty and graduate students from over 30 different universities around the world. 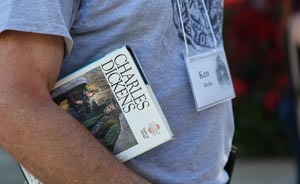 But for many, the highlight of the project is the Dickens Universe--a weeklong event held each summer that brings together a wide array of participants--ranging from college faculty and students, to high school teachers, Road Scholars (Elderhostel), and anyone else with an inclination or yearning to study Dickens. They come from all over the country—people like Ken Berke, a New Orleans resident who said he flew to Phoenix and then drove 1,300 miles to Santa Cruz to attend the 2011 Dickens Universe. Each year, the core focus is typically on one particular novel—this year it was the classic Great Expectations. As always, the weeklong gathering, which just wrapped up on August 6, was a rousing success. 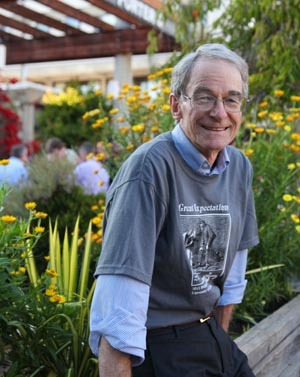 The Dickens Project was co-founded by Jordan in 1981, in collaboration with UCSC English and comparative literature professor Murray Baumgarten, and UC Riverside English professor Ed Eigner. The project has sponsored international conferences in Israel, France, South Africa, Italy, Great Britain, and Australia. It publishes educational materials on Dickens and other Victorian writers, and has produced three teaching resource kits in collaboration with the BBC. The Dickens Project also presents numerous seminars and workshops for teachers, supports the professional development of countless graduate students, and serves as an international clearinghouse for Dickens scholarship. For more information about the Dickens Project—and to find out what book will be selected for next year’s Dickens Universe--go to http://dickens.ucsc.edu/, e-mail dpj@ucsc.edu or contact project coordinator JoAnna Rottke at (831) 459-2103.